En mettant l'accent sur des propositions personnelles et sans entraves autour d'un thème donné, IMPORTANT MAGAZINE cherche à apporter une lumière transformatrice sur des sujets qui tiennent à aux artistes, photographes, scientifiques, chefs, animaux, écrivains et êtres spirituels contemporains. Le but est d'apporter aux contributeurs une nouvelle plate-forme leur permettant librement d’explorer des sujets en dehors de leur habitat naturel et également de mettre en avant un angle plus personnel.t. 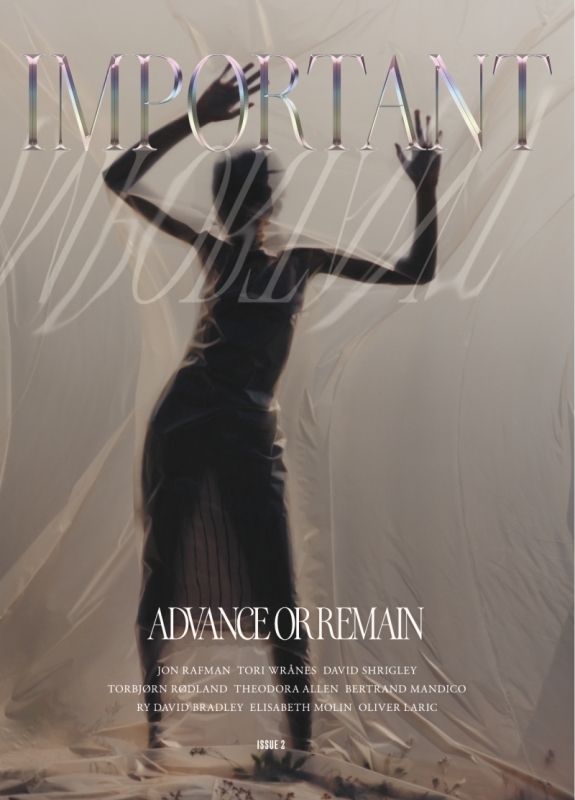 The second issue of IMPORTANT MAGAZINE focuses on the body shapeshifting from physical entity to digital and back. In what realm do we belong (exist) and how do we navigate in the current landscape of the self vs onscreen identities? Are we changing, are we forgetting, how are we human and what does that mean exactly? How does the body survive and renew itself while its data are being harvested and invested in societies submerged in surveillance? Is the notion of the human itself transmuting, and how do we distinguish ourselves from the algorithms and the codes that are now producing, modifying and filtering our interactions with one another? Important Magazine N°2-1 n'est pas en stock aujourd'hui. Important Magazine N°2-2 n'est pas en stock aujourd'hui. 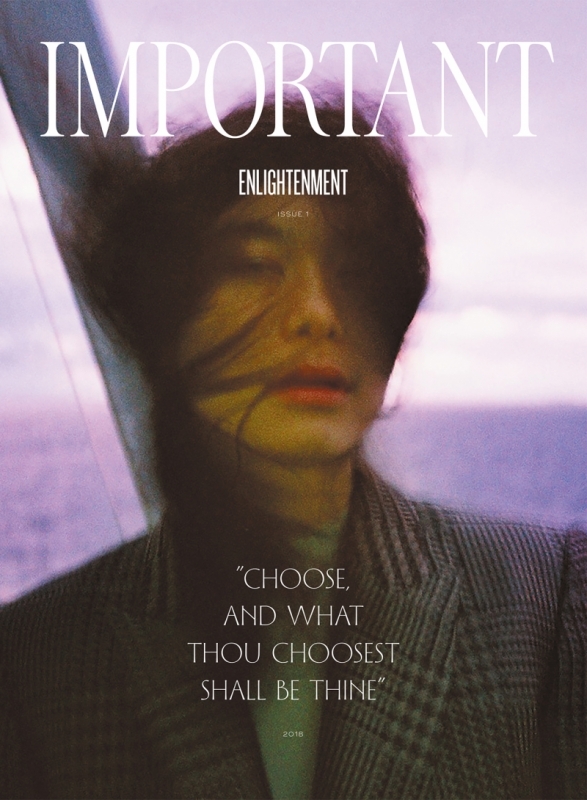 Important Magazine N°2-3 n'est pas en stock aujourd'hui. Cover 4, Present Skins shot by Fryd Frydendahl, black & yellow. 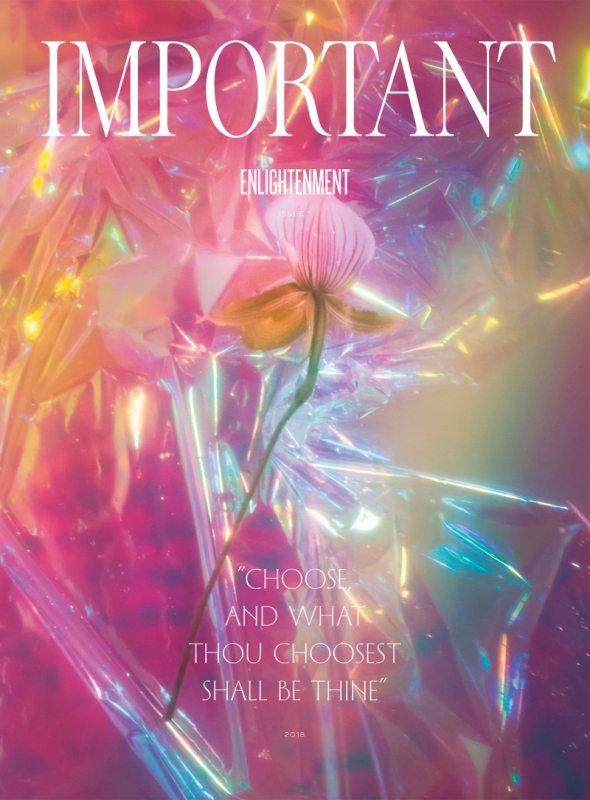 The first issue of IMPORTANT MAGAZINE is bringing light into important matters and sharing esoteric subjects at large. All contributors were free to interpret the theme, some quite abstractly exploring the undercurrent and what lays beneath and others working directly with light and fire. Alexander Tovborg speaks very powerfully about the resurrection of the symbol and the worship of mammon and we proudly feature an original artwork made for this inaugural first issue. 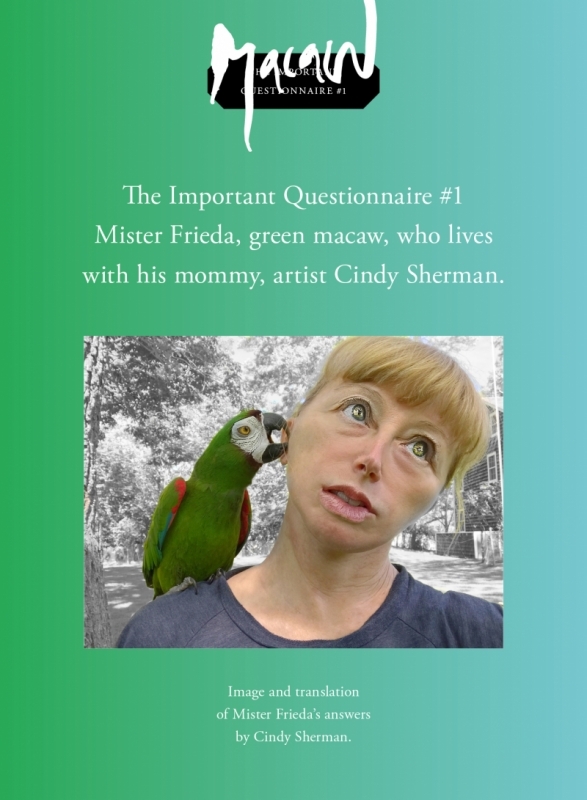 In a Q&A with Mister Frieda, the parrot living with artist Cindy Sherman, important matters such as favourite words, nuts and holiday destinations are shared with great generosity. 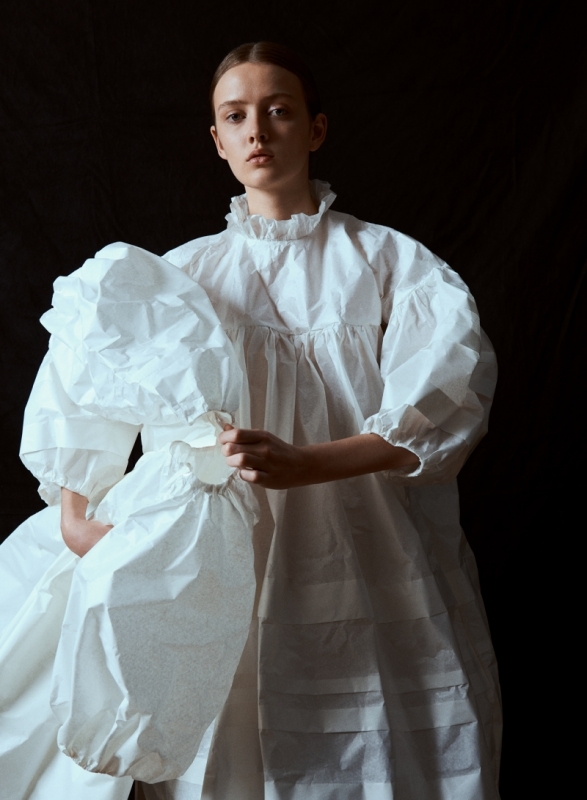 Hasse Nielsen and Nathalie Schwer have explored the portal in the mind of a young woman on a journey through an evocative forest all dressed in bespoke paper dresses by Cecilie Bahnsen exclusively made for this story. Henrik Alm & Nicole Walker from Berlin, portrays a duo of modern females, exploring bodies and their behaviour on their own terms for themselves only. Writer and horror aficionado, Susanne Madsen from London, digs deep into her fascination, and artist Troels Carlsen contributes with disquieting images. Mary Lennox brings iridescent light onto nature’s most valued botanicals with Becca Crawford, while Rose Theodora shares her knowledge from above on the forthcoming year with her forecasting horoscopes. Ann Sophie von Bülow has visited Eileen Gray’s villa E-1027 and reflects upon the writings on the walls. Important Magazine N°1-4 n'est pas en stock aujourd'hui. Cover 3, My body wasn’t made for you, but for me shot by Henrik Alm, styled by Nicole Walker, purple & green. 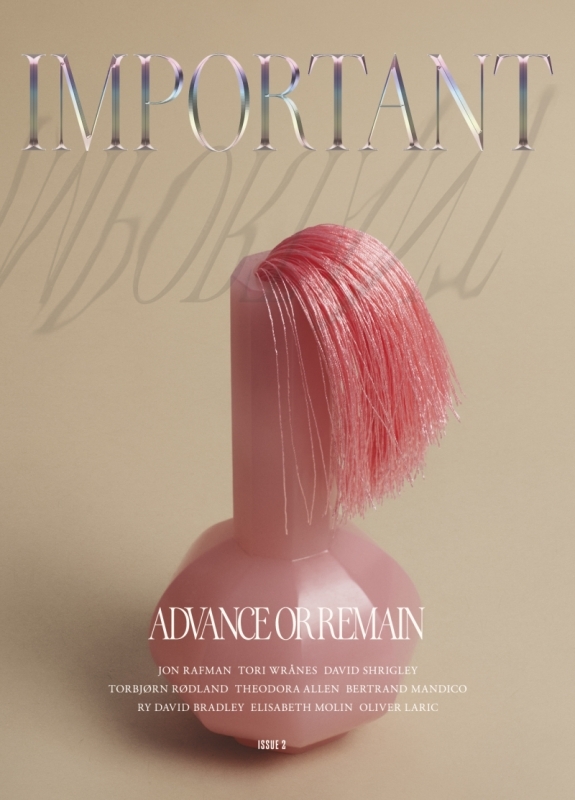 Important Magazine N°1-3 n'est pas en stock aujourd'hui. Cover 2, Iridescent Eclipse shot by Becca Crawford, styled by Mary Lennox, green & cyan. Important Magazine N°1-2 n'est pas en stock aujourd'hui. Cover 1, PLUNGE shot by Hasse Nielsen, styled by Nathalie Schwer, magenta & red. 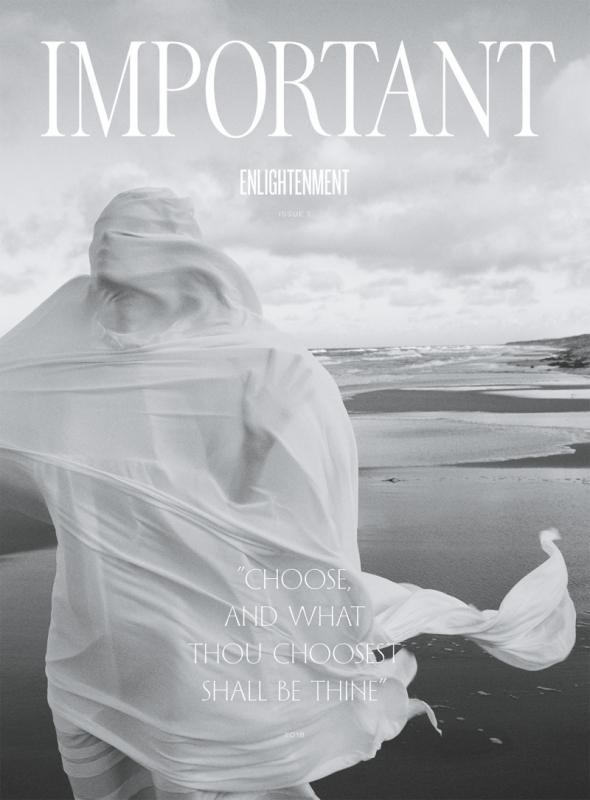 Important Magazine N°1-1 n'est pas en stock aujourd'hui.